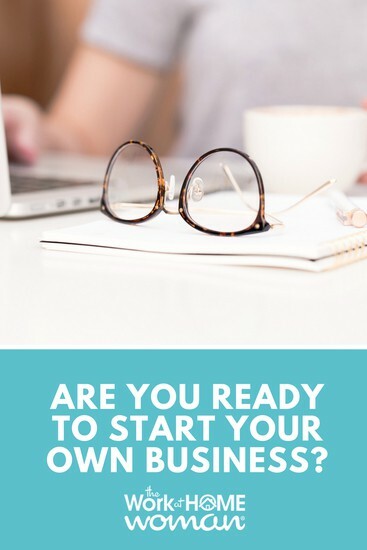 You are here: Home / Business / Are You Ready to Start Your Own Business? Starting a business is not meant to be a breezy, two-step process that can be handled and taken care of within 30 minutes or less. Who do I talk to about beginning a start-up? Where do I go if I want to get a loan? What if I don’t even know what my first move is? You do though. Your first move is already upstairs in your mind, quietly (or noisily) kicking around the cogs in your frontal lobe. It’s your vision, your idea. You’ve been visualizing it for some time now, working out all of the kinks and enhancing the features that your prototype has to offer. Your first move has been thinking- comprehensive thought which will lead you into our steps for success in strategically starting your own business. You don’t want to start your first business with a commodity, so be sure that you’ve researched your idea to ensure it has a unique slant or twist on a service that hasn’t been out on the market before. During this time it is wise to come up with your top five areas that you plan on focusing on the most and what you need to move on to get everything moving. Create a short term plan of what you want your business to accomplish in the next six months to a year and look into the possibility of strategizing a long term plan (which is anywhere from 2 to 5 years in length). Be sure you know exactly what you are selling and providing by now and the target audience that will be anticipating your business. Conduct informational interviews with professionals in the business and get their advice and tips on what to expect when starting a small business. If you don’t happen to know anyone in your field, use step one (research) to find their online website where they will have contact information. Ask family and colleagues for referrals to business professionals they’ve worked with and trust. Remember that all of these pros know what it’s like to start out in the beginning so be sure to ask every question you have, even if you may think it isn’t significant. You may feel compelled to talk to investors immediately about lending you money for your new business, but be careful. Investors will usually anticipate that you share a percentage of the business with them. Also, they will need to see a business plan that includes 3-5 years of projected financial statements, an exit strategy, and a marketing plan. One of the best methods to work with when it comes to funding for your new business is establishing seed capital, a securities funding that allows for individuals connected to the new business to invest the money needed into the business so that it can last on its own while in a development phase. After that period is over, the business will usually be able to create its own funding. Seed capital doesn’t need to be a huge amount of money and may come from a re-finance or savings. It will allow you to be able to retain ownership of your business. If you aren’t in the position to fund your business through seed capital, talk with a lending institution. A line of credit provided through the institution may fit your needs better. The most inexpensive and easy way to market your name and brand is by going online and setting up an official website for your business. Hiring a professional to build your site is ideal, but for those who cannot afford a website, there are plenty of sites that offer assistance with building and putting together a free website. Start a Facebook and Twitter account for your business and set up a LinkedIn account to connect with professionals in your area. Start a blog on your business site page to tell visitors and potential clients what your business has to offer and keep your visitors in the know about the latest news going on with your company. It’s the best way to build a name for yourself in the industry and the easiest way to establish a diverse following base. Like every business, yours will start off slow and grow as time progresses. Be patient. You could experience massive growth overnight or over a span of 20 years. So start out of a home office to save money for now and keep everything you need, computer, phone, copier, and scanner and coffee machine (for late nights!) nearby. It is important that while you continue to work hard, you respond to all of the needs of your customers. By answering and catering to their needs, you’ll be able to establish much-needed credibility and positive word of mouth. Both of which will take you and your new business far in the world. There is so much involved ins tarting a new business. One not only has to be prepared for the hard work but have their ducks in a row. In the end it is worth it. It’s good to be reminded that business is HARD work. That way you get in fully aware of what it entails and set expectations accordingly which greatly increases your business success.